Portrait of Adele Bloch-Bauer I is a painting by Gustav Klimt completed in 1907. According to press reports it was sold for US$135 million to Ronald Lauder for his Neue Galerie in New York City in June 2006 which would make it the most expensive painting ever sold. It has been on display at the gallery since July 2006. Klimt took three years to complete the painting. It measures 138 x 138 cm and is made of oil and gold on canvas, showing elaborate and complex ornamentation as seen in the Jugendstil style. Klimt was a member of the Vienna Secession, a group of artists that broke away from the traditional way of painting. The painting was judged to be pivotal and revolutionary, akin to Picasso’s Les Demoiselles d'Avignon of the same year. The picture was painted in Vienna and commissioned by Ferdinand Bloch-Bauer. As a wealthy industrialist who had made his fortune in the sugar industry, he sponsored the arts and favored and supported Gustav Klimt. 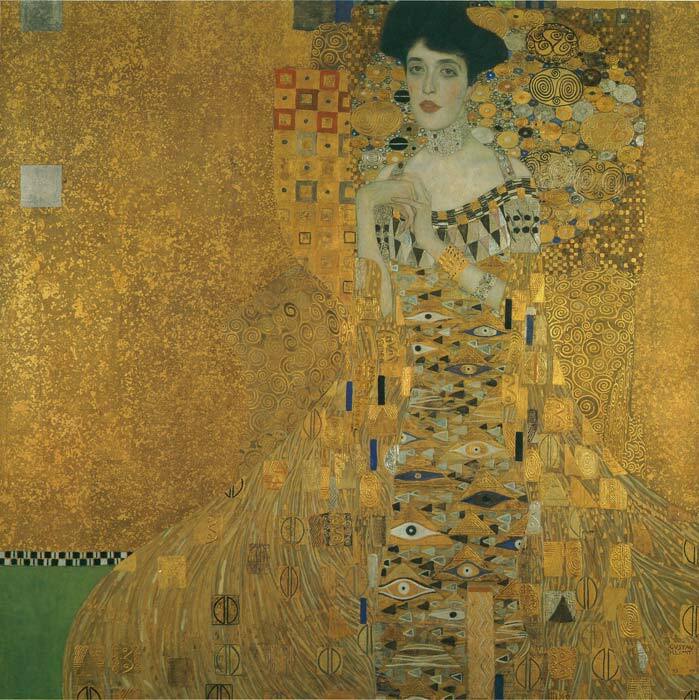 His wife Adele Bloch-Bauer became the only model who was painted twice by Klimt when he completed a second oil painting of her, Adele Bloch-Bauer II, in 1912.